Energy Therapy: The Joy of Living Consciously: Why bother to eat organically grown foods? Why bother to eat organically grown foods? 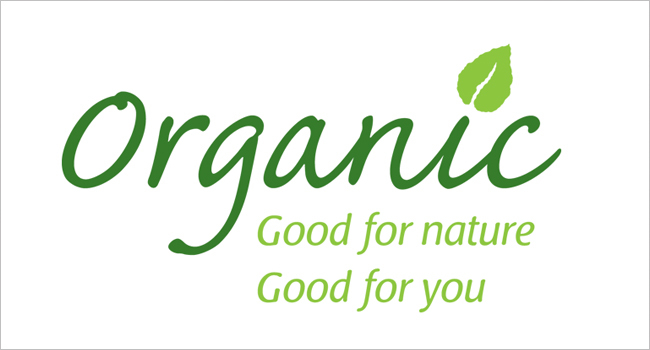 I've recently noticed that more people are switching to organic, which is a great indicator of a growing "health conscious" demographic. On the other hand, the vast majority of people are still content to buy and eat non-organic foods. Many of those same people (are you one of them?) are eating a high ratio of packaged, convenience and fast foods, with no real thought to their health over the long-term. So, why aren't more people eating organic? And, most importantly, are you eating as healthily as you can? "It's too expensive", is the first commonly touted reason. 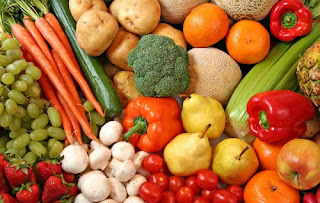 The second is the "scientific" myth that non-organic foods have just as much nutrients (key vitamins and minerals) as organic foods, and that the commonly used insecticides, herbicides, and fungicides are all "safe" for human consumption. Take a moment to check-in with yourself. Are you buying the cheapest option, or are you reaching for the most healthful option? Unfortunately, people don't notice the persistent damage being caused because there isn't an immediate reaction to harmful pollutants. The human body is so resilient to our abuses, that many don't make the link between ill health later in life and their dietary choices. Many who switch to organic foods, find the little extra cost is worth it. In fact, for most of us, it may be "too expensive" NOT to buy organic! Don't wait until you've got a massive mountain of health challenges to climb before you consider what is most important to you: quality of life. If you want to buy organic but are entertaining the rather limiting thought that it's too expensive, cut back on eating meat, as it's more expensive, and make the switch. Your body will thank you! In fact, within a short space of time, eating organic wholefoods will give you more vitality, and increased mental alertness. Buy organic from your local farm shop, health food shop, or supermarket. Certainly, an increase in demand for organic produce will make the farming industry dedicate more of its land towards the healthful cultivation of crops, and this can only be a good thing for us, and for Mother Earth. Organic farms are actually havens for wildlife. 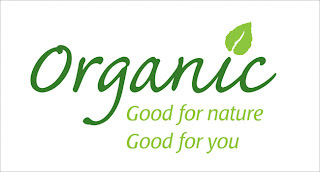 Plant, insect and bird life has been noted to be at least 50% greater on Organic farms. Many places in the UK have witnessed a sharp decline in wildlife, and one key way to help reverse this is by supporting Organic farming. If you live in the UK (and even if you don't), check out the Soil Association, a charity campaigning for healthy, humane and sustainable food, farming and land use. Preventative healthcare is the only really sensible way forward for us as our current healthcare system moves towards its inevitable crisis point. In the near future, many people will have to pay for routine healthcare checks, drugs and surgery in the UK - and medical bills aren't cheap! Make the decision to take care of your health today by going organic. Return to a more conscious way of living, and encourage others to do the same. Wishing you good health, and joyful living!